Ariel Graham, 2, takes a quick break while she helped her family shovel the driveway. Cayliana Hodge also took time to relax and enjoy the winter weather. Cody Kirkpatrick, Marion Township Trustee, shared this photo of Roth Road outside of New Holland covered in snow. Petey and Harper braved and explored the snow at their house despite the cold temperatures. 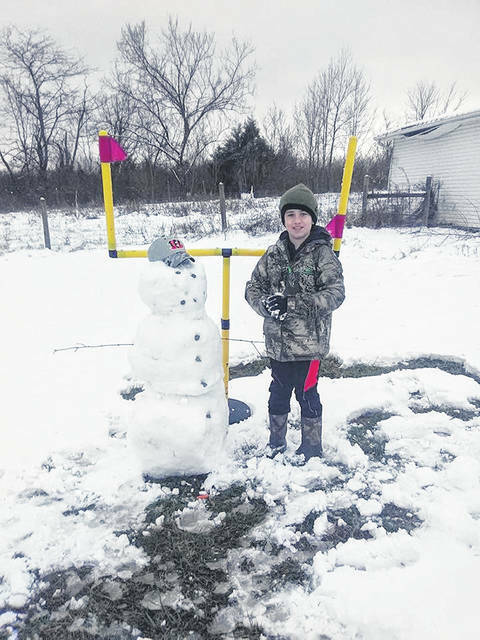 Hayden Daugherty built a snowman sporting a Cincinnati Bengals hat over the weekend. Jase, Kayla Ann, Dana and Bryson had a great snow day together. Krosby and Korbin enjoyed a bit of backyard sledding over the weekend. Pyper and Chase Smith geared up and headed outside for a snow day snow fight. 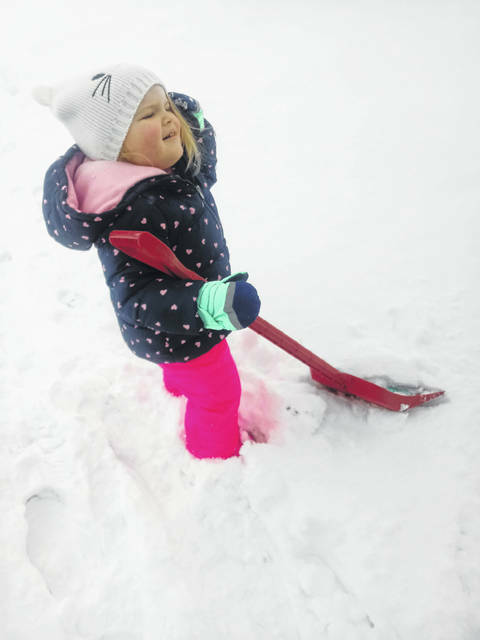 https://www.recordherald.com/wp-content/uploads/sites/27/2019/01/web1_ArielGraham.jpgAriel Graham, 2, takes a quick break while she helped her family shovel the driveway. 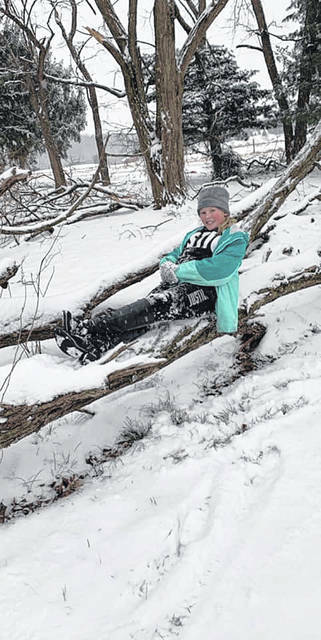 https://www.recordherald.com/wp-content/uploads/sites/27/2019/01/web1_CaylianaHodge.jpgCayliana Hodge also took time to relax and enjoy the winter weather. 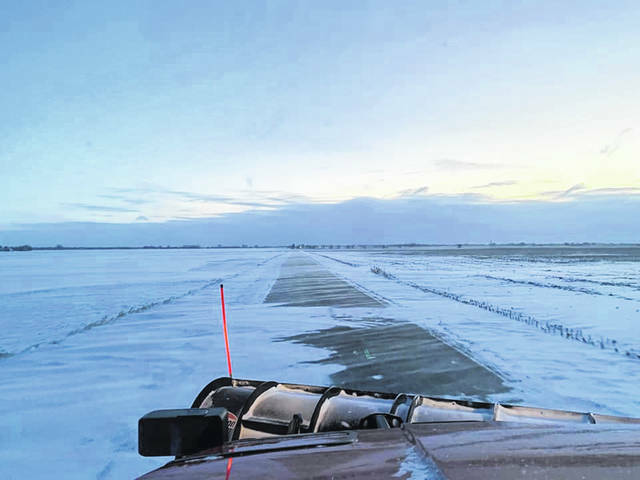 https://www.recordherald.com/wp-content/uploads/sites/27/2019/01/web1_CodyKirkpatrickMarionTownshipTrustee.jpgCody Kirkpatrick, Marion Township Trustee, shared this photo of Roth Road outside of New Holland covered in snow. 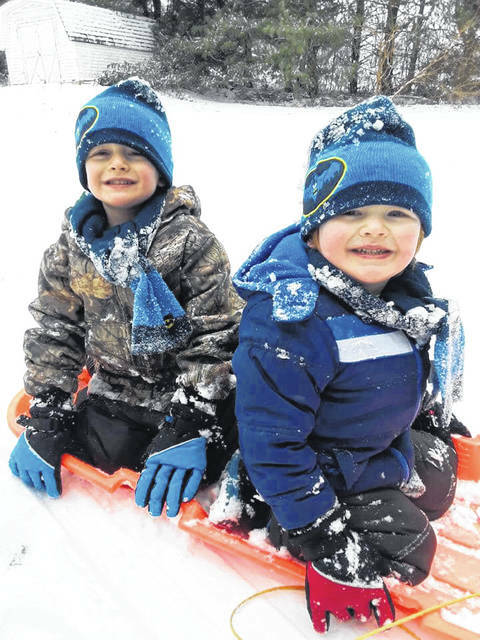 https://www.recordherald.com/wp-content/uploads/sites/27/2019/01/web1_HarperAndPetey.jpgPetey and Harper braved and explored the snow at their house despite the cold temperatures. 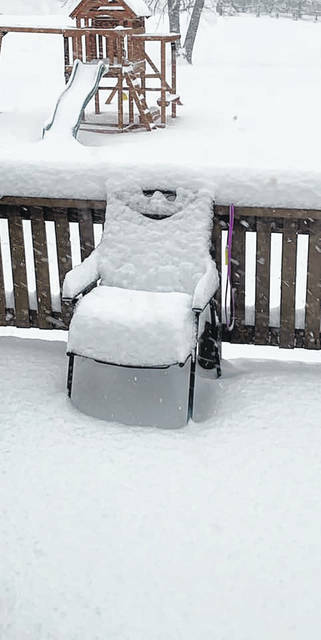 https://www.recordherald.com/wp-content/uploads/sites/27/2019/01/web1_HaydenDaugherty.jpgHayden Daugherty built a snowman sporting a Cincinnati Bengals hat over the weekend. 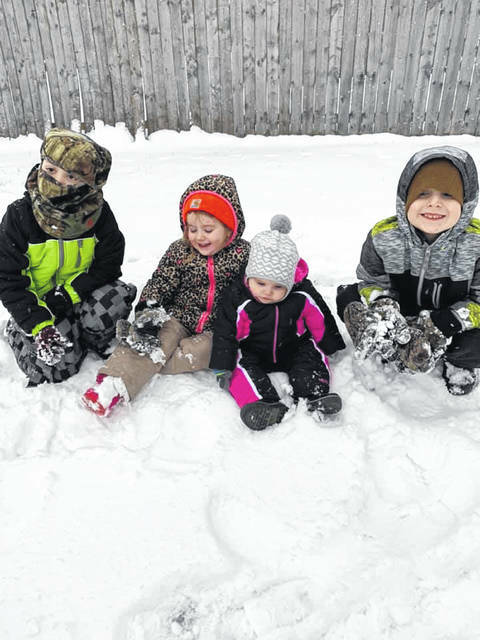 https://www.recordherald.com/wp-content/uploads/sites/27/2019/01/web1_Kidsinagroup.jpgJase, Kayla Ann, Dana and Bryson had a great snow day together. 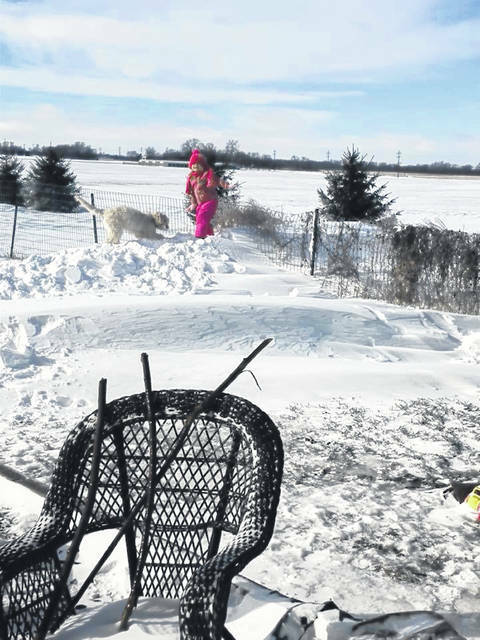 https://www.recordherald.com/wp-content/uploads/sites/27/2019/01/web1_KrosbyAndKorbin.jpgKrosby and Korbin enjoyed a bit of backyard sledding over the weekend. 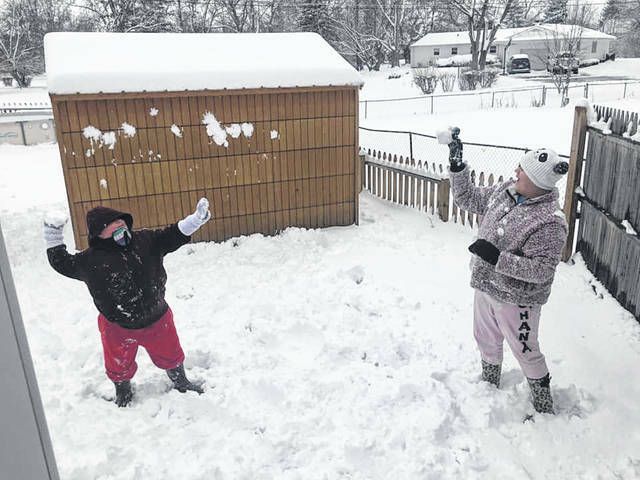 https://www.recordherald.com/wp-content/uploads/sites/27/2019/01/web1_PyperandChaseSmith.jpgPyper and Chase Smith geared up and headed outside for a snow day snow fight.